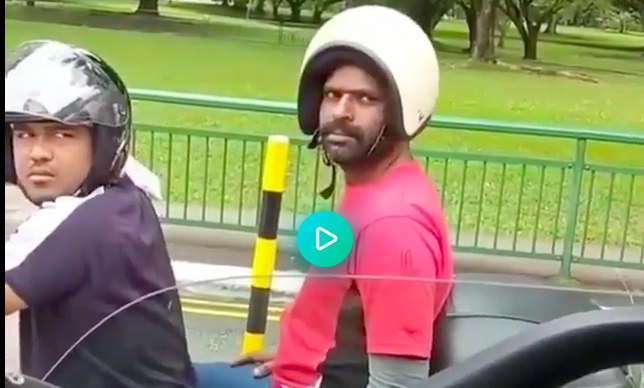 This man's reaction when a stranger points out he's wearing his motorcycle helmet BACKWARDS is endearing. His embarrassed grin is pure gold. The part when they both turn their heads in unison! So meme-worthy. Seems to have been taped on this IMGURian's Android phone somewhere in Dubai.